On the 16th and 17th October 2017 the IBB Andersia Hotel in Poznań hosted the 2nd International Scientific Conference WOOD – SCIENCE – ECONOMY, which was organised by the Wood Technology Institute in cooperation with the State Forests National Forest Holding. The aim of the conference was to present the latest scientific achievements within an international group of researchers – experts in the field of forestry and wood industry, as well as to foster the exchange of experience, identifying those research trends which offer the greatest potential for application along with the ways of their practical implementation in the forestry-wood sector. The complexity of the research area covering this sector of the economy requires an interdisciplinary approach to scientific and developmental research and the creation of a forum for knowledge exchange and discussion on the possible use of the Earth’s forest resources in order to achieve sustainable development, accounting for the impact on climatic changes and the new concepts of wood biomass management. The conference was addressed to the representatives of the academia, who foster advancement in the forestry-wood sector, and to business practitioners in view of the strategic role of wood as a fully renewable multi-purpose resource. 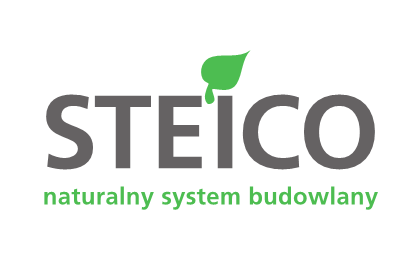 The conference attracted the attention of the following sponsors from the wood industry: STEICO, Polska Grupa Producentów Opakowań Drewnianych (Polish Wooden Packaging Manufacturers Group), and Schattdecor. The Minister of Science and Higher Education, the Minister of Development, and the Minister of the Environment took the honorary patronage of the event, whereas the media patronage was taken by Gazeta Przemysłu Drzewnego, Głos Lasu, Drewno.pl and Przemysł Drzewny. Research & Development. The partner of the conference was the Marshal Office of the Wielkopolska Region in Poznań. Over the course of two days nearly 100 participants had the opportunity to listen to 29 presentations and see 25 posters. The Scientific Committee of the conference, which was chaired by Prof. Ewa Ratajczak, PhD from the Wood Technology Institute and Konrad Tomaszewski, PhD (Eng), Director General of the State Forests National Forest Holding, consisted of 22 members of academic staff representing universities and scientific institutions from all over the world. The event was participated in by reputed scholars from Europe (Germany, Italy, Belgium, Slovenia, Slovakia, Ukraine) and from research centres in Ghana and China. The Guest of Honour at the conference was Prof. dr. ir. Joris Van Acker, Head of the Laboratory of Wood Technology (Woodlab) of the Department of Forest and Water Management at the Faculty of Bioscience Engineering at Ghent University, a world authority in the field of wood anatomy, wood protection and modification, and wood-based product technologies. Other foreign guests included Prof. Francesco Carbone from the University of Tuscia in Viterbo, Prof. Ján Sedliačik from the Technical University in Zvolen, Prof. Orest Kiyko from the Ukrainian National Forestry University in Lviv, dr. Peter Meinlschmidt from the Fraunhofer Institute for Wood Research (WKI) in Braunschweig, Klaus Zimmermann and Sebastian Glasenapp from the Thünen Institute of International Forestry and Forest Economics in Hamburg, dr. Addo Koranteng from the Kumasi Technical University in Ghana, Matevž Mihelič and Anton Poje from the University of Ljubljana, Igor Novák from the Slovak Academy of Sciences, and Prof. Juraj Ladomerský from the Matej Bel University in Banská Bystrica. The conference was honoured by eminent specialists from Polish scientific institutions, such as Assc. Prof. Janusz Czerepko, PhD ,– Director of the Forest Research Institute, Prof. Janusz Sowa, PhD (Eng), – Dean of the Faculty of Forestry at the University of Agriculture in Krakow, Prof. Piotr Paschalis Jakubowicz, PhD, and Prof. Janusz Zawadzki, PhD, from the Warsaw University of Life Sciences. Polish research centres were represented also by the Poznań University of Life Sciences, the Cracow University of Technology, the Poznan University of Technology, the Bialystok University of Technology, the Wood Technology Institute, the Institute of Soil Science and Plant Cultivation – State Research Institute in Puławy, and the West Pomeranian University of Technology in Szczecin. Furthermore, the event was attended by a delegation from the State Forests (including the General Directorate – DGLP, the Regional Directorate – RDLP, and the Information Centre – CILP) and a representative of the Marshal Office of the Wielkopolska Region in Poznań. The conference was opened by the Chair of the Scientific Committee, Prof. Ewa Ratajczak, PhD, who welcomed all the guests, participants, authors of the lectures and posters, sponsors, and the media who took patronage of the event. The Chair of the Organising Committee was Assc. Prof. Jadwiga Zabielska-Matejuk, PhD (Eng), from the Wood Technology Institute. The function of Scientific Secretary was entrusted to Dominika Janiszewska, PhD (Eng) – she, as a co-host of the conference, represented the young generation of scientists who had arrived at the conference venue in quite a large number. On behalf of Konrad Tomaszewski, PhD (Eng), the Director General of the State Forests, the guests were welcomed by the Head of the Regional Directorate in Poznań, Mr Tomasz Markiewicz, who, stressing the importance of the wood and forest industry and the significance of this event, wished an enriching debate to all those gathered. The Guest of Honour, Prof. dr. ir. Joris Van Acker, in his interesting lecture presented new solutions for the wood and forest sector, based on sustainable development and approached from a socio-economic point of view. The first thematic session, devoted to the wood market with regard to its economic and social aspects and moderated by Prof. dr. ir. Van Acker and Prof. Piotr Paschalis Jakubowicz, PhD, started with a lecture by Prof. Ewa Ratajczak, PhD, who addressed the challenges faced by international wood product markets, as seen from the perspective of the EU Member States. Christian Morland, M.Sc. from the Thünen Institute of International Forestry and Forest Economics in Hamburg presented econometric models applicable in supply and demand functions for the global wood markets. The issues associated with land use and socio-economic trends in the areas surrounding the concessions of African plantations for sustainable development (APSD) in Brong Ahafo Region of Ghana were discussed by dr. Addo Koranteng from the Kumasi Technical University in Kumasi. Dobrochna Augustyniak, M.Sc., from the Wood Technology Institute delivered a lecture on the competitiveness of Polish furniture export. The last lecture in this session, regarding business-academia collaboration as illustrated by the transfer of innovative wood technology from the Warsaw University of Life Sciences to the SME’s sector, was delivered by Marek Grześkiewicz, PhD, from that university. The moderators of the second session, devoted to challenges in the forestry, were dr. Peter Meinlschmidt and Prof. Janusz Sowa, PhD (Eng). The session began with a lecture by Prof. Orest Kiyko from the Ukrainian National Forestry University in Lviv, who talked about the development of and prospects for the forest sector of Eastern Europe. Prof. Piotr Paschalis Jakubowicz, PhD, from the Warsaw University of Life Sciences then shared some of his thoughts on forestry innovation. Next, the audience could learn from Prof. Francesco Carbone from the University of Tuscia in Viterbo about how innovative timber production fosters sustainable development, with a case study of the Castelli Romani region in Italy. Dawid Leńczuk, M.Sc. (Eng) from the University of Agriculture in Krakow talked about the assessment of forest-based reclamation of dumping grounds, as illustrated by the “Piaseczno” sulphur open-pit mine. The analysis and modelling of timber storage accumulation after severe storm events in Germany was the topic elaborated on by Klaus Zimmermann, M.Sc., from the Thünen Institute of International Forestry and Forest Economics in Hamburg. Dr. Matevž Mihelič, representing the University of Ljubljana, addressed the subject of intensifying the management of protection forests in the Alps. The last lecture in this session, delivered by Assc. Prof. Janusz Czerepko, PhD, from the Forest Research Institute, was devoted to demand for wood biomass for energy purposes and the identification of its current and potential sources. The third session, centred around wood properties, was moderated by Prof. Bartłomiej Mazela, PhD and started with a lecture by Tomasz Kurek, PhD (Eng), from the State Forests (Forest District Polanów) on the relation between biometric features and the occurrence of red heartwood in beech. The next presentation dealt with the variability of selected macrostructural features, density and compression strength along the grain of the “Tabórz” Scots pine wood and was given by Radosław Wąsik, PhD (Eng), from the University of Agriculture in Krakow. The first day of the conference ended with a presentation by Zbigniew Karaszewski, PhD (Eng), from the Wood Technology Institute. He addressed the issue of whether there is any effect of site fertility on beech wood density. The second day of the conference started with a session on wood protection, with Prof. Francesco Carbone and Prof. Janusz Zawadzki, PhD, serving as moderators. The first to take the floor was Assc. Prof. Andrzej Fojutowski, PhD (Eng), from the Wood Technology Institute, who talked about changes in the properties of Scots pine heartwood during four years of exposure to underwater conditions at an archaeological site in the Gdansk Bay near Orłowo. Next, Joanna Siuda, M.Sc., from the Poznań University of Life Sciences elaborated on the application of MTMOS for the purpose of silanization of waterlogged archaeological wood. Mateusz Sydow, M.Sc. (Eng), representing the Wood Technology Institute, explored the topic of the biodegradation of ionic liquid fungicides in soil and their influence on autochthonous soil microbiota. Then Paulina Kryg, M.Sc. (Eng), from the Poznań University of Life Sciences and the National Museum of Agriculture and Food Industry in Szreniawa took the floor to talk about materials for filling in gaps in wooden artefacts exposed to outdoor conditions. To conclude the session, Ewelina Depczyńska, M.Sc., from Tikkurila Polska S.A., a company based in Dębica, spoke on the topic of silylated natural oil for wood protection. The next panel, devoted to biomass management, was moderated by Prof. Ján Sedliačik together with Assc. Prof. Andrzej Fojutowski, PhD (Eng). The session began with the presentation by Tomasz Domański, PhD (Eng), who gave a lecture on the Bayesian approach to timber machinery grading. Then Krzysztof Stereńczak, PhD (Eng), explored the impact of sample size on the results of modelling of stand growing stock volume, based on the Airborne Laser Scanning data. A presentation on wood energy consumption in private households in Germany was delivered by Sebastian Glasenapp, M.Sc. from the Thünen Institute of International Forestry and Forest Economics in Hamburg. Lignocellulosic biomass liquefaction – an eco-bonding approach to wood-based panels was the next topic, covered by Dominika Janiszewska, PhD (Eng), from the Wood Technology Institute. Dr. Peter Meinlschmidt from the Fraunhofer Institute for Wood Research (WKI) in Braunschweig then talked about the recycling of balsa wood from rotor blades for the production of insulation building material, and this concluded the last but one session of the conference. After the lunch break, a poster session was held, offering everyone interested a chance to ask the authors of posters (exhibited during the two conference days) questions on issues addressed in the posters. The last panel, dealing with advancements in wood science, was moderated by Prof. Orest Kiyko and Assc. Prof. Maria Władyka-Przybylak, PhD, from the Wood Technology Institute. The session opened with a presentation on the methodology for the assessment of compliance of existing wood-based panel production plants with BAT requirements, delivered by dr. Anna Bohers who represented the Matej Bel University in Banská Bystrica. The next speaker was Agnieszka Laskowska, PhD (Eng), from the Warsaw University of Life Sciences. She talked about the density profile and hardness of thermo-mechanically modified beech, oak and pine wood. The effect of photodegradation ageing on the aesthetic features and adhesion of white lacquer coatings in UV systems on HDF substrate was discussed by Tomasz Krystofiak, PhD (Eng), from the Poznań University of Life Sciences. Grzegorz Pajchrowski, PhD (Eng), delivering the last lecture of the conference, addressed the thermal conductivity of wooden floors depending on the applied materials and construction solutions. All of the thematic panels were accompanied by discussions. After the lectures, sponsors’ presentations commenced. The conference ended with a speech by Prof. Ewa Ratajczak, PhD, who emphasised the growing importance of the forestry-wood sector for both the European and global economies. She expressed her gratitude to all the speakers, authors of posters, and participants for presenting the latest research trends and innovations in the forestry-wood sector and for the lively and constructive scientific debate that encouraged a productive exchange of views. Her special thanks went to the Guest of Honour, Prof. dr. ir. Joris Van Acker, for his presence at the conference and for delivering a fascinating lecture. On closing the conference, the Chair of the Scientific Committee invited the participants to attend the next scientific meeting that will be held in two years in Poznań. The 2nd International Scientific Conference WOOD – SCIENCE – ECONOMY turned out a complete success, receiving many positive comments and holding promise for more interesting research work in the future.